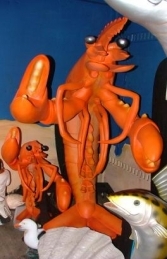 Lobster with black-board 3ft (JR... / p.o.s. 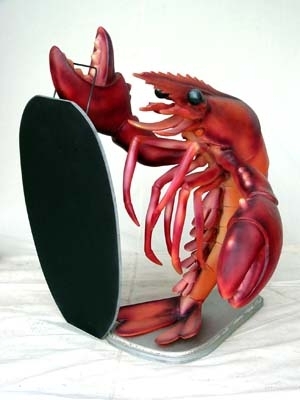 This brightly coloured Lobster model with removable Black-board is a fantastic eye-catching model to advertise that you sell sea-food. This 3ft tall model Lobster is a dramatic and attention grabbing way to make YOUR sea-food restaurant or shop stand out from the competition. 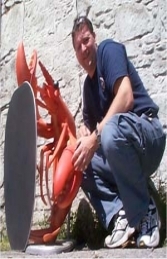 It is small enough to fit on a window sill or counter and can be used to draw attention to any shops, pubs or restaurants serving sea-food or to add to any under the sea-themed area.